Who is at fault for California wrong-way car accidents? For California wrong-way accidents, who is at fault? As with all California personal injury cases, understanding who is at fault for an accident depends on the details of the individual case. Having said that, it is reasonably safe to say that, in the case of a wrong-way traffic accident, the driver who traveled on the wrong side of the road is at least partially at fault for the accident, and could be responsible for compensating your family. 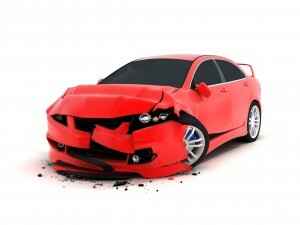 However, other parties could also be responsible for the injuries you sustained in a wrong-way car accident. For example, if the wrong-way driver was confused by poor road design, a bad intersection, or a lack of warning signs, whoever designed or was responsible for the road could be partially at fault. As Newport beach car accident attorneys, we understand that every case is unique. While the wrong-way driver probably is partially responsible for the crash, it is possible there were other factors which caused the driver to enter the highway or interstate in the wrong direction. Some of these factors may not be readily apparent, especially soon after the car accident. An Newport beach car accident attorney can examine the evidence of your case and help you understand who may be responsible for damages. If you or a loved one was involved in a wrong-way traffic accident, contact the skilled injury attorneys at Russell & Lazarus for answers to your questions. For a free case evaluation, contact us today by calling (800) 268-9228. We will review the details of your case with you and show you how we can help.